Broccoli Spinach Mushroom Pie - Kosher In The Kitch! 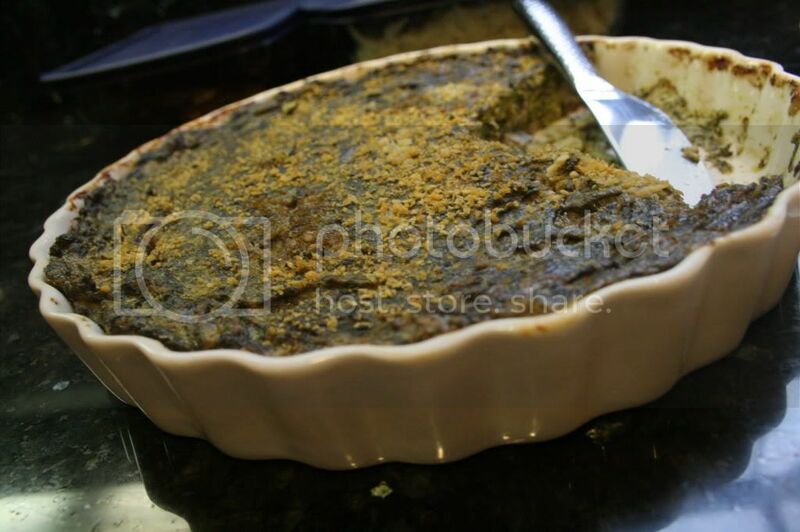 Broccoli Spinach Mushroom Pie - Kosher In The Kitch! Cook the broccoli & spinach. Then add the remaining ingredients and mix it so it’s combined fully. Pour into pie crust and sprinkle on the cornflake crumbs then bake it uncovered for an hour on 350. I would think it would be high in calories. i eat veggies like this with salt and pepper and some buter and i,m having a hard time losing weight.i have been on a salad and veggie and fruit diet with some chicken etc and i get protien also from nuts etc and i also take vitimins and I’m in excelent health except i take blood presure medsI’ve lost 35 lbs in six months and i want to get down to 170 from 225, i’m 5’7″60 years and i want to loose weight to get off blood presure meds! what are the amounts for the broccoli and spinach? As for the amount of veggies the author did not specify however when I asked, she said it varies. Sometimes she uses half bag of frozen spinach and broccoli sometimes 1 full bag each. What is the quanity for the mushrooms? Are the mushrooms to be cooked prior to baking? What can be used in place of corn flakes for Pesach?